On Sept. 24, 1869, the gold market crumbles, and fortunes are lost in a matter of minutes. When two of Boston’s most prominent men are found dead on Wall Street’s first “Black Friday,” it’s widely assumed that they committed suicide over their financial losses. But upon examining the bodies, forensic scientist Dr. William Hewitt concludes that one of the men was most likely murdered. 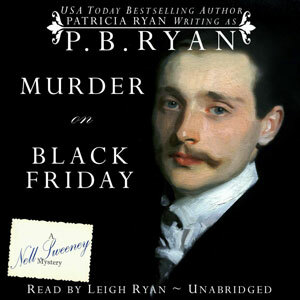 Will wants to investigate the circumstances surrounding the suspicious death, but to do so, he needs to navigate the upper echelons of Boston society, which are foreign to him. 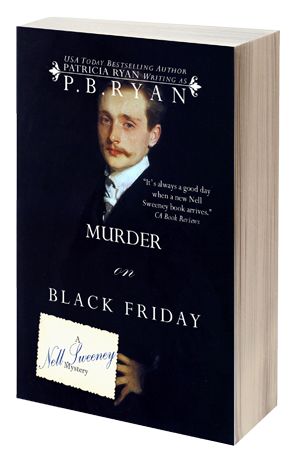 He enlists the aid of Nell Sweeney, the Irish-born governess employed by his estranged parents. Not only is Nell acquainted with many of the city’s most prominent citizens, she understands how their wealth and power can be used to keep dark secrets under wraps. As their investigation progresses, Nell and Will discover that the two dead men were linked by something more valuable—and far more treacherous—than gold.